Reliable Funeral Home was founded in 1952 at 1389 N. Union by Leonard C. Davis, Sr. Reliable was the first African American funeral home located West of Kingshighway. At that time the employees were Nelson Thomas, Sr. (nephew) and James Thomas, Sr. In 1965 Reliable Funeral Home re-located to 3964 Washington. At this location business continued to be successful. 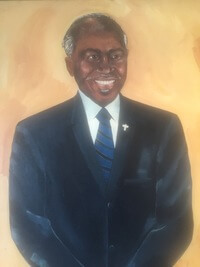 In October of 1969 Mr. Leonard C. Davis Sr. passed away. The business kept going and growing under the ownership of Nelson Thomas, Sr. and Leonard C. Davis, Jr. After the passing of Leonard C. Davis, Jr. in July of 1975 the business continued under the ownership of Nelson Thomas, Sr. and Eva Thomas with the help of God and their dear friend James Thomas Sr. In 1988 the building at 3964 Washington was extended to better serve our families. Then in 1998 the Reliable Chapel was built at 3958 Washington also to better serve our families. With God’s blessing our desire is to continue serving the St. Louis area with reliable and courtesy service.